When Arnold Palmer Regional Airport expanded in 1998, planners anticipated serving about 20,000 travelers a year flying on planes that would accommodate up to 30 passengers each. Nearly two decades later, the airport terminal sees roughly 300,000 passengers annually on planes that can seat as many as 175. 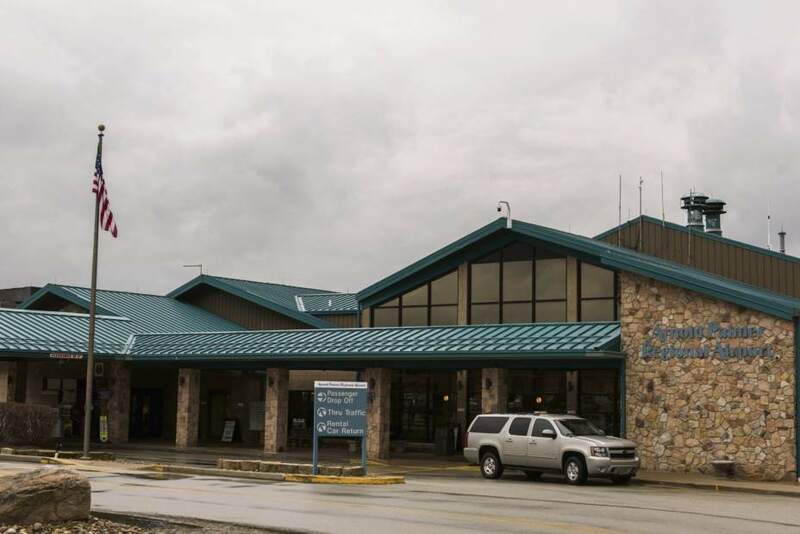 Given that impressive growth, the Westmoreland County Airport Authority is planning for a terminal expansion that could increase space by as much as 50 percent, to about 75,000 square feet. “Everything is out to its capacity,” authority Executive Director Gabe Monzo said of the Unity facility. Still, he indicated there's no rush to turn the expansion plans, under development for about two years, into bricks and mortar. The project likely will remain in a holding pattern, at least for 2017, as the authority focuses on capital improvements to the grounds — rehabilitation of the runway, which will be widened from 100 feet to 150 feet at an estimated cost of $2.3 million; completion of a taxiway upgrade; and the addition of up to 200 parking spaces. Funds allocated through the Federal Aviation Administration and the state Bureau of Aviation will cover most of the runway cost. 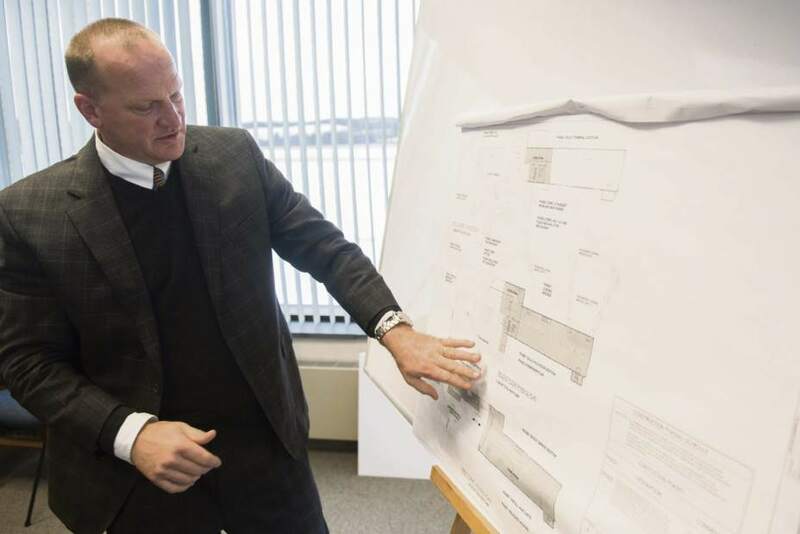 As for the proposed update of the three-story terminal, Monzo said, the goal is to have a shovel-ready design in place for whenever the authority can secure funding, ranging from an estimated $8 million to $12 million. In keeping with past practice, authority members likely will proceed with caution, Monzo said. The scope of the expansion will be driven by the number of gates and enclosed bridges to convey passengers between the terminal and arriving or departing planes. With the existing single bridge, Monzo said, some passengers must be escorted outside across the tarmac when two flights by primary carrier Spirit Airlines are scheduled within 15 minutes of each other — at least a weekly occurrence. “It takes a couple of extra people to control that, and it slows the process down,” he noted. The flexible project design by Ethan Hines of KTH Architects would extend the northeast end of the terminal by various lengths to accommodate two or three bridges. “We thought two bridges would be a great way to start,” Monzo said. Other changes would move passengers through the terminal more efficiently, including a security checkpoint that would double from one lane to two. Passengers must ascend or descend between floors as they navigate the terminal. In the redesign, all passenger activities would occur on the second floor and authority offices would be relocated to the first floor, along with an enlarged area for handling outgoing baggage, Hines said. The third floor would feature an expanded banquet room and restrooms. The updated terminal would have a new bar and lounge and more seating for passengers waiting to board planes. “We'd like to have a 350-seat hold room so you could put at least two flights in there that have been screened (through security),” Monzo said. He suggested the authority may consider, as an initial project, converting a large glass window into a separate exit for arriving passengers who have claimed their baggage so they won't conflict with others entering the terminal from the parking area. In addition to securing funding, the feasibility of the terminal project rests on keeping the airport busy. After continuous growth since Spirit's arrival in 2011, the airport's annual passenger number dropped from 355,910 in 2015 to 289,832 last year. It's a decrease Spirit, which flies to multiple Florida destinations, has attributed to ending service to Las Vegas and Chicago. Airport officials hope to rebound with Southern Airways Express showing interest in adding four daily shuttle flights, as early as April, to Pittsburgh International Airport. The commercial pilot was conducting a personal cross-country flight during daytime visual meteorological conditions over mountainous terrain. He reported that, about 30 minutes into the flight, the engine began to lose power. 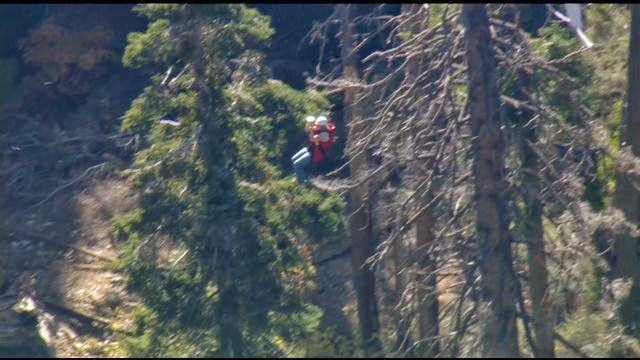 The airplane descended into a box canyon, and the pilot then attempted to maneuver the airplane to initiate a 180-degree turn out of the canyon toward lower terrain. 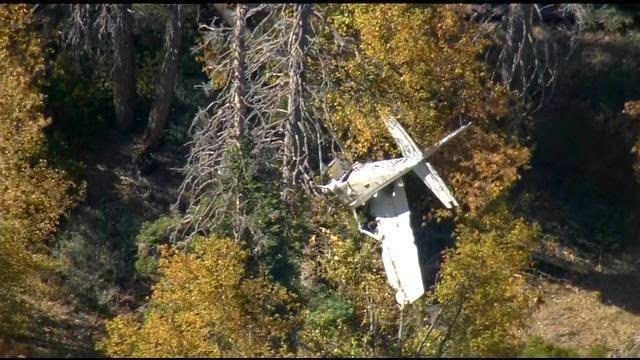 The airplane continued to descend, and the stall warning horn sounded, so the pilot decided to land in trees. First responders reported that the wing fuel tanks were breached and that fuel had drained out through holes in the wings. A postaccident examination of the airframe and engine revealed no evidence of any preexisting mechanical malfunctions or failures that would have precluded normal operation. The reason for the partial loss of engine power could not be determined. A partial loss of engine power for reasons that could not be determined because postaccident examination of the airframe and engine did not reveal any anomalies that would have precluded normal operation. 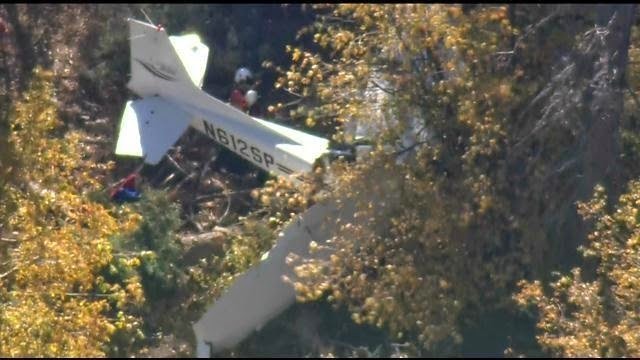 On October 16, 2014, about 1400 Pacific daylight time, a Cessna 172S, N612SP, was substantially damaged when it collided with terrain near Big Bear City Airport (L35), Big Bear, California. Sohail Air Ventures LLC was operating the rental airplane under the provisions of 14 Code of Federal Regulations (CFR) Part 91. The commercial pilot and two passengers sustained serious injuries. Visual meteorological conditions prevailed and no flight plan was filed for the personal flight. The cross-country flight departed Corona, California, at an undetermined time with an intended destination of L35. 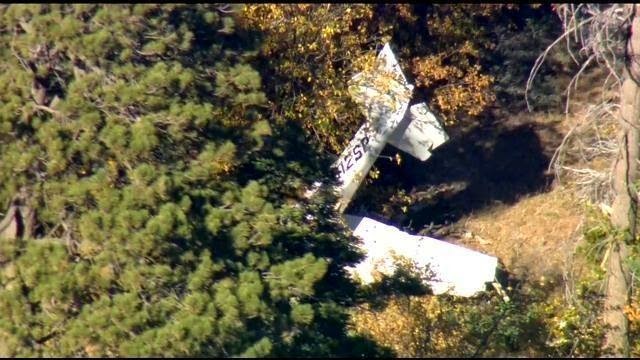 According to a Federal Aviation Administration (FAA) inspector, the pilot reported that he intended on flying to L35 for lunch prior to returning to Corona. Prior to the flight, he verified the fuel level of each fuel tank at 11 to 12 gallons of fuel and noted that the airplanes log sheet indicated 13 gallons of fuel should have been in each wing's fuel tank. 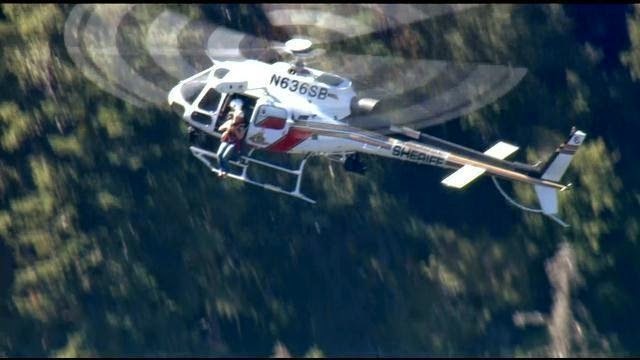 The pilot further reported to the inspector that he anticipated getting fuel at Big Bear and that he planned to fly directly above the box canyons of the mountainous terrain west of the airport. The pilot stated that thirty minutes into the flight, he noticed that he could not maintain altitude above the canyons and the engine was losing power. Once inside a box canyon, he maintained a position on the left side of the canyon with the intent to execute a right turn out of the canyon toward lower terrain. As the airplane continued to sink, he noticed that he did not have enough engine power to maintain a close proximity to the face of the mountain. 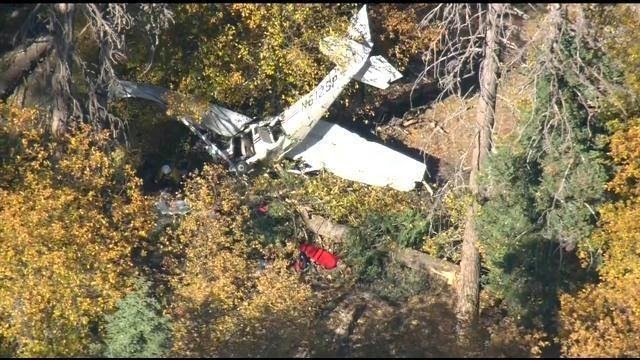 The pilot further stated that when he heard the stall warning horn, he decided to initiate a landing on top of the trees instead of stalling [the airplane]. The pilot added that he had adjusted the mixture early in the flight, but the events of the flight happened too fast to attempt corrective adjustments immediately prior to the accident. First responders confirmed that the wing fuel tanks were breached, and fuel had drained out through holes in the wings. An aviation routine weather report (METAR) for L35, elevation 6,756 feet msl, located about 8 miles northeast of the accident site was issued at 1415. It indicated wind from 260 degrees at 10 knots, 10 miles or greater visibility, sky clear, temperature at 20 degrees C, dew point -17 degrees C, and an altimeter setting at 30.15 inches of mercury. The relative humidity was 7%. A METAR for San Bernardino International Airport (SBD), elevation 1,159 feet msl, located about 15 miles southwest of the accident site, was issued at 1350. It indicated wind calm, 10 miles or greater visibility, sky few at 5,000 feet, temperature at 24 degrees C, dew point 8 degrees C, and an altimeter setting at 29.96 inches of mercury. 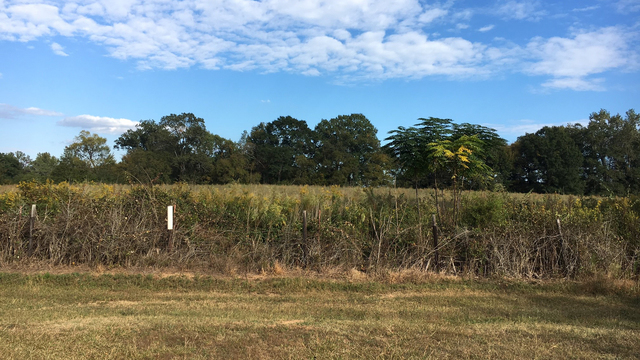 Examination of the recovered wreckage was conducted on October 28, 2014, by representatives of the FAA, Cessna, and Lycoming Engines under the supervision of the National Transportation Safety Board investigator-in-charge. The electrical master switch was in the ON position. The ignition switch was in the BOTH position with the key in the switch. The auxiliary fuel pump switch was in the ON position. Investigators determined that the fuel selector valve was in the BOTH position. The gascolator contained a clear blue fluid that smelled like aviation gasoline; a water finding paste test had no response indicating that there was no water contamination. The screen was clean. Investigators manually rotated the crankshaft with a tool in the vacuum pump drive pad. The crankshaft rotated freely, and the valves moved approximately the same amount of lift in firing order. The accessory gears turned freely. Investigators obtained thumb compression on all cylinders in firing order. A borescope inspection revealed no mechanical deformation on the valves, cylinder walls, or internal cylinder head. When each magneto drive shaft was rotated by hand, both magnetos produced spark at all posts. The fuel pump's rubber diaphragm was intact and the pump contained a fluid consistent with the appearance and odor of aviation fuel. The two blades were bent and twisted. Both blades exhibited leading edge gouges and chordwise striations. No evidence of any preexisting mechanical anomalies with the airframe or engine was found that would have precluded normal operation. 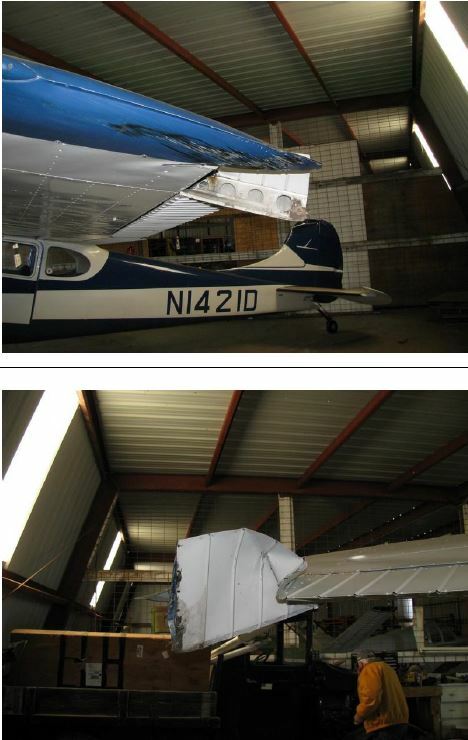 For further information, see the NTSB Airframe and Engine Examination Notes within the public docket for this accident. 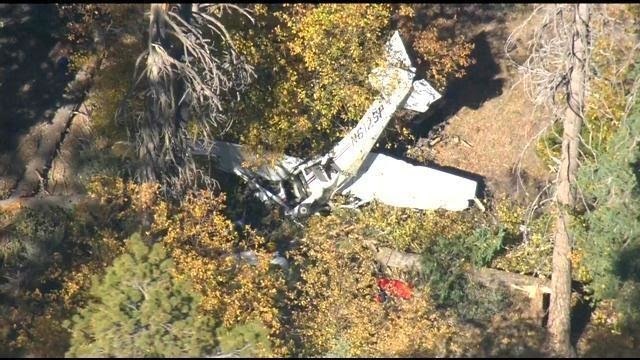 Neither the pilot nor the operator submitted an NTSB form 6120.1, Pilot/Operator Aircraft Accident/Incident Report. 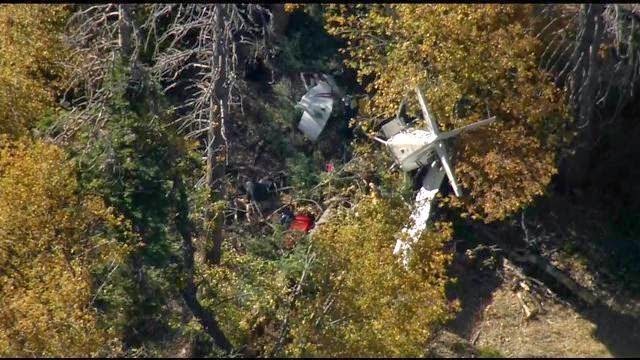 On October 16, 2014, about 1400 Pacific daylight time, a Cessna 172S, N612SP, collided with terrain near Big Bear, California. Sohail Air Ventrues LLC was operating the rental airplane under the provisions of 14 Code of Federal Regulations (CFR) Part 91. The commercial pilot and two passengers sustained serious injuries. The airplane sustained substantial damage during the accident sequence. 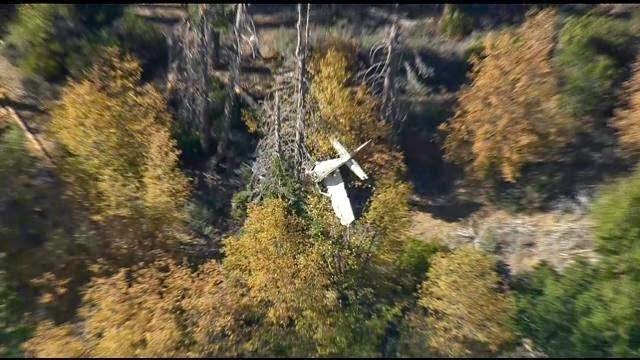 The cross-country personal flight departed Corona, California, at an undetermined time with a planned destination of Big Bear. Visual meteorological conditions (VMC) prevailed, and no flight plan had been filed. 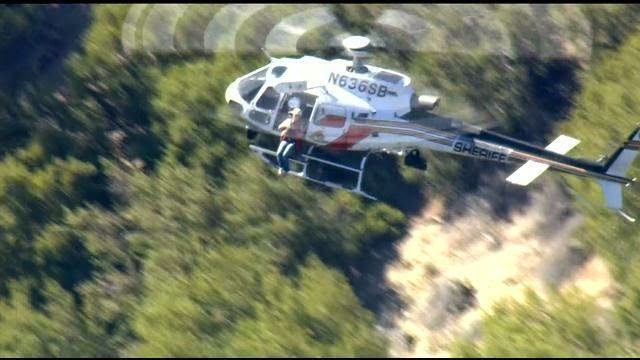 The airplane collided with terrain while maneuvering in a mountainous area. HENRY COUNTY, Ga. - A pilot and his granddaughter are reuniting for the first time with the first responders who saved their lives after a plane crash. 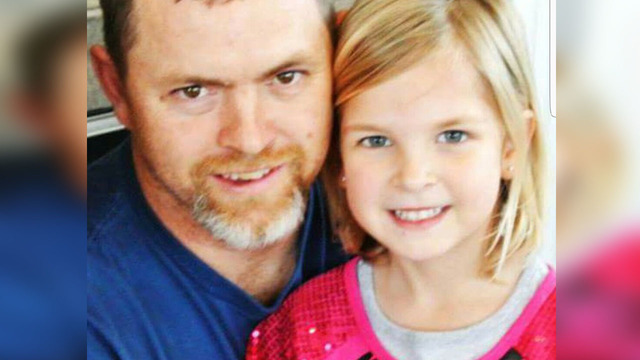 Jamie Thompson and his granddaughter, London Buckley, were injured when their plane went down near Berry Hill Airport in Stockbridge last October. 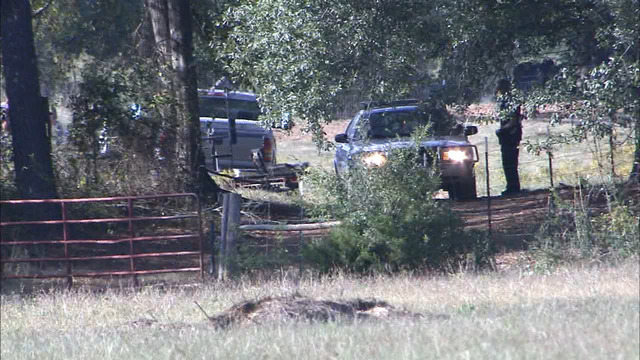 Both were taken to the hospital with serious injuries. The family dog died in the crash. London was expected to be in the hospital for months, but was released in just two weeks. Now, the grandfather and granddaughter are meeting face-to-face with the people who helped them after the crash. "Being able to see that we actually made a difference in the lives of two people that were seriously injured that day is a huge morale booster," Henry County Fire Lt. Eric Shelley said. 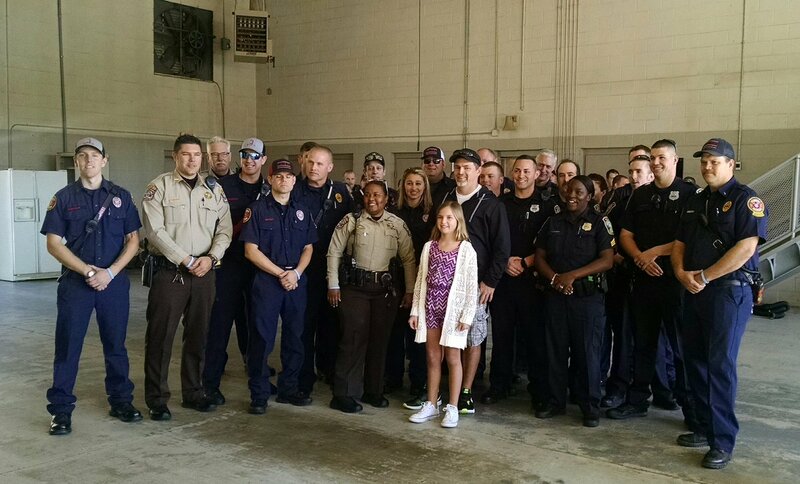 There were lots of handshakes, hugs and pictures as the survivors and first responders met Saturday afternoon. Shelley put together the event because he said in his 20 years with the department, this was only his second plane crash. "It was definitely one of those scenes that you will remember for the rest of your life, because it's not something you get everyday," he said. London said after recovering from the crash, she is enjoying playing outside. She also had one piece of advice for anyone who would listen: "Just don't get in a plane crash." 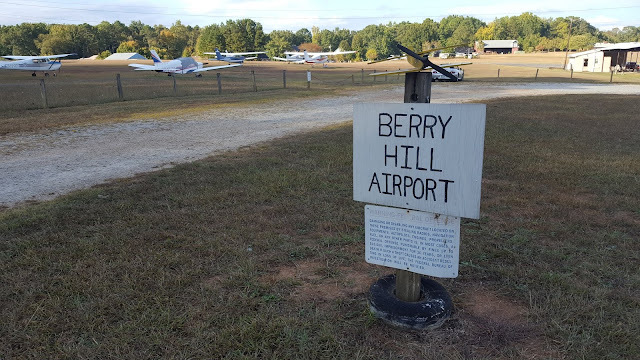 On October 16, 2016, about 1430 eastern daylight time, a Cessna 150F airplane, N7948F, impacted a field after takeoff from Berry Hill Airport (7GA7), Stockbridge, Georgia. 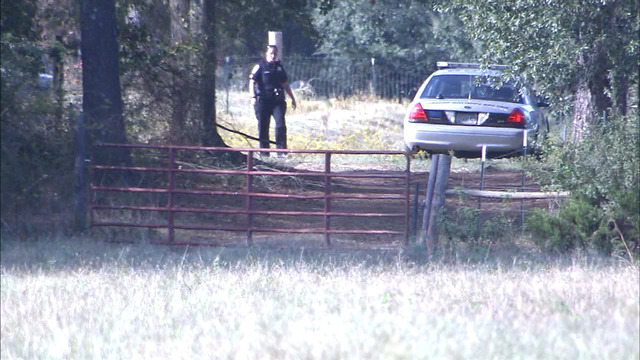 The private pilot and passenger sustained serious injuries. The airplane was substantially damaged. The personal flight was conducted under the provisions of 14 Code of Federal Regulations Part 91. Visual meteorological conditions prevailed and no flight plan had been filed for the local flight. Shortly after takeoff from runway 11, the airplane cleared a line of trees 75 to 100 feet tall, approximately 500 feet from the departure end of the runway, then went into a steep nose down descent and struck the ground at a nearly vertical attitude less than 800 feet from the runway. 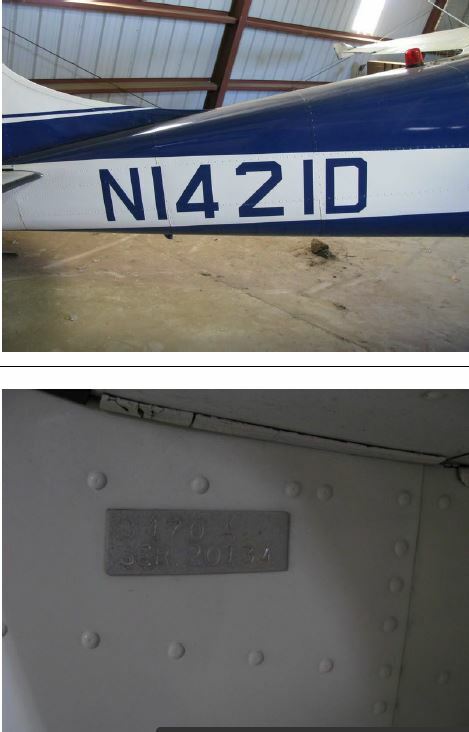 The airplane was secured for additional investigation. • The North Runway (10L-28R) will close from 12:01AM to 5:30AM from Monday, March 6, through Wednesday, March 8. • The South Runway (10R-28L) will close from 10:30PM to 6:00AM from Wednesday, March 8, through Friday, March 10. Crews will remove rubber, paint and perform other runway maintenance. 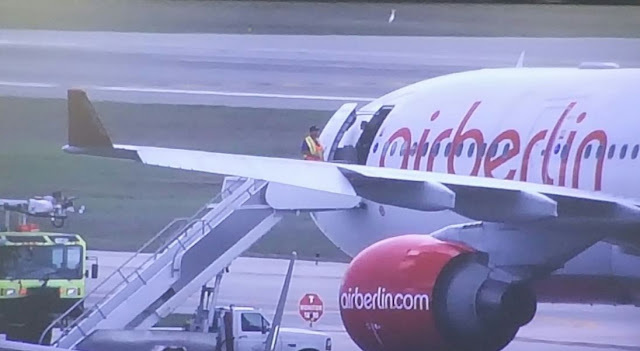 DAYTONA BEACH, Fla (WOFL FOX 35) - Air Berlin flight 7416 departed from Dusseldorf International Airport this morning bound for Cancun Mexico. But the flight was diverted to Daytona Beach International Airport just after one o'clock this afternoon. It's unclear why the plane was diverted but there are reports of smoke filling the cockpit. Air Berlin tweeted that the flight did land safely and that no one on board the plane was injured. They also tweeted that they will be investigating the incident. The pilot of the tailwheel-equipped airplane reported that, while attempting to land on the “grass portion of the runway” parallel to the paved runway, the ground was soft. Subsequently, the main wheels sunk into the ground, and the airplane nosed over. 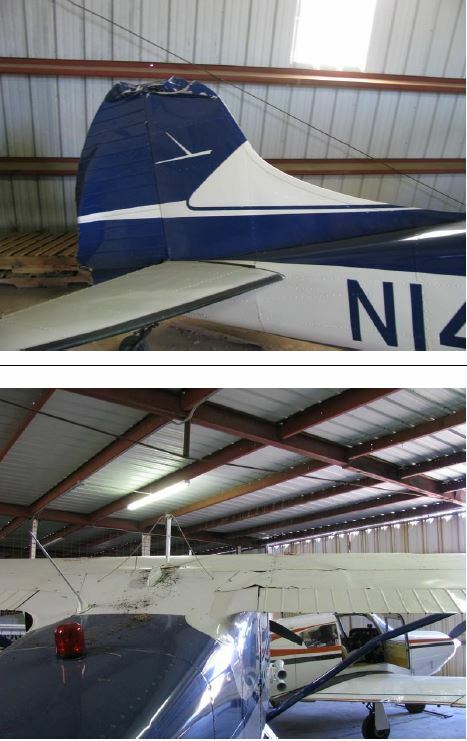 The airplane sustained substantial damage to its right-wing lift strut and vertical stabilizer. The pilot’s selection of unsuitable terrain for landing, which resulted in a nose-over. 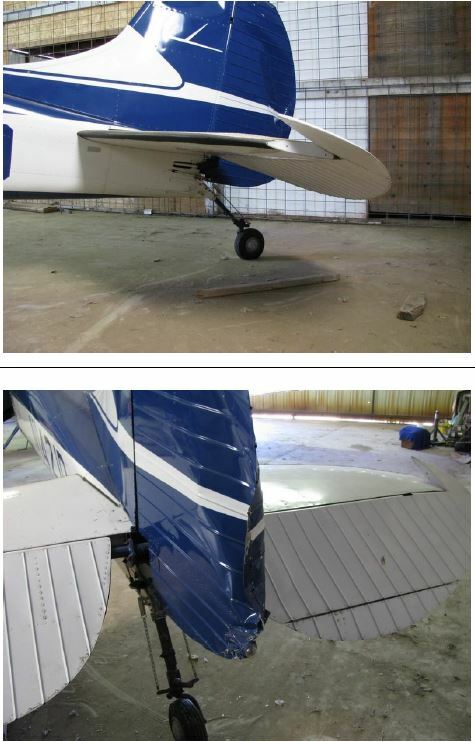 The pilot of the tailwheel equipped airplane reported that while attempting to land on the "grass portion of the runway", parallel to the paved runway, the ground was soft. Subsequently, the main wheels sunk into the ground and the airplane nosed over. ORANGE — A single-engine plane flipped over on the runway at the Orange Municipal Airport Friday afternoon at around 3 p.m.
Police, firefighters and ambulances responded, although Bryan Camden, operations manager at Orange Municipal Airport, confirmed the male pilot was attended to by Orange Emergency Medical Services and released at the scene with no injuries. “Everyone is safe and there was no real damage to private property,” Camden said. 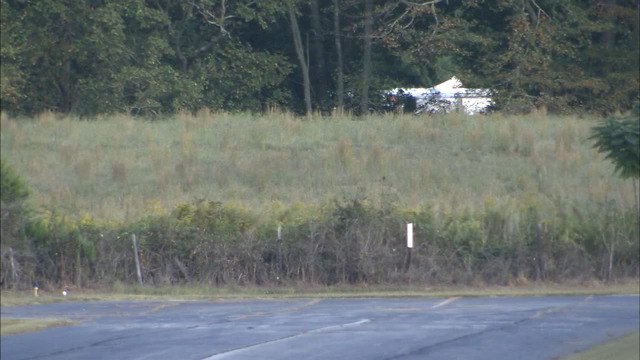 Though Camden declined to identify the pilot, he believed the man was from Turners Falls and in his 60s, with many years of flying experience. “He was an avid flier, experienced pilot, and he was involved with several flying clubs such as the Experimental Aircraft Association,” he said. 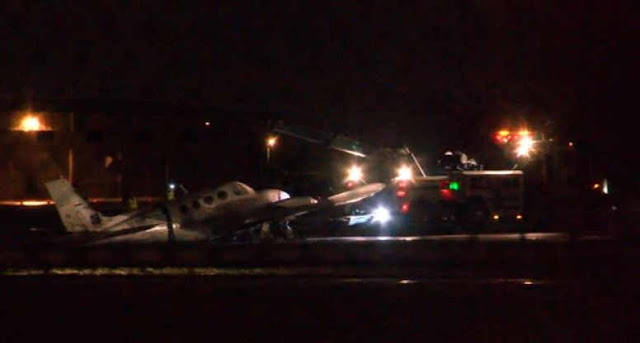 Camden said the plane was removed from the runway at around 8 p.m., making the airport fully operational again. McKinney Boyd senior Richard Rensing is a normal 17-year-old kid … sort of. He enjoys the usual: Xbox, football, cheeseburgers and hanging out with friends. But, while most parents of teens ride with white knuckles teaching their children to drive a car, for Rich and Becky Rensing that fear reached a whole new level recently when Richard flew his parents to Dallas in a private plane for a weekend lunch. Rensing is part of the McKinney Aviation Academy, where McKinney ISD high school students spend all four years of high school learning the ins and outs of aviation, putting many on a path to a career as a professional pilot. On Feb. 1, Rensing earned his private pilot license, the first student in the academy to do so. Is it common to become licensed at such a young age? It’s extremely uncommon to get your private pilot’s license at 17. Are you planning to turn this into a career later on? Yes. I just got accepted to TSTC (Texas State Technical College) to train … you start off with private, and then you go to instrument, then multi-engine, then you go commercial and then CFI (certified flight instructor). As a freshman I’ll be trained by students at TSTC, then my junior year I’ll be training the new students. After that, I’ll get my ATP (airline transport pilot), which is where I’ll be able to transport people in bigger planes. After I hit 1,000 hours, I’ll go and fly for Envoy or a smaller regional jet company. Ever since I was a young kid, I always imagined I would be flying. Whenever we would go on American flights, I always looked in the cockpit and I’d say, “One day that will be me.” I would always tell my dad and my mom that I want to be a pilot when I get older. Tell us a little bit about the McKinney Aviation Academy. It’s a four-year program. As a freshman, you start off learning about the history of aviation. You get a feel if aviation’s right for you. The second year you go into the mechanic side of it and you learn about how aircrafts work and how they fly. The third year, I built an RV-12 kit plane, which is an actual plane that flies – most people think you built a remote-control plane – no, this is an actual two-seater plane. Then senior year, you go into an internship. Why did you become involved in aviation? My dad used to be part of a company that had a corporate jet that they would fly back and forth from here to Louisiana or here to Arkansas, and I used to go with my mom over to the McKinney airport – where I now have my classes – and pick him up. I would always look at the planes and it amazed me how many buttons are in the cockpit and how the planes flew and how they were able to get off the ground and still stay in the air and have nothing supporting them. When I was going into my freshman year, my mom said, “Did you know they have an aviation program at school? Do you want to do that?” I was like, “Uh, yeah.” That was basically what got me started. Do your classmates know about your unique skills? After I got my license, I bragged a little bit. Lots of kids at my school know that I have a pilot’s license and know that I’ve been working for it for a long time. A lot of people have been calling me Richie the Pilot or Pilot Richie. What is your favorite aspect of flying? Just cruising – looking at the ground and looking out at the sky. All these people are down on the ground and I’m up here – one of the few thousand people up in the sky. I think it’s really cool seeing everything from a higher perspective that not a lot of people don’t get to see that often. I play Xbox occasionally in my free time. I’m really interested in sports; I watch football with my friends. Right now, probably astronomy. I think my astronomy teacher said we only know like a tenth of a percent of what is really out there, and that’s what really interests me is what we don’t know about space and wanting to learn about going to Mars and studying the soil on Mars and exploring different galaxies and planets. There are thousands of planets that are exactly like Earth, but we haven’t explored them. If you were stranded on an island, what three items would want to have with you? A bush plane, definitely I’d have to find a good source of food, and probably a buddy with me to help along the way. If you could pick your theme music, what would it be? If you could have only one food to eat for the rest of your life, what would it be? The flight instructor in the tailwheel-equipped airplane reported that, during the landing roll, as soon as the tailwheel touched the runway, the airplane veered to the right. He added that he attempted to recover by applying full left rudder, left brake, and right aileron, but the left wing impacted the ground as the airplane exited the runway to the right. Subsequently, the airplane nosed over. 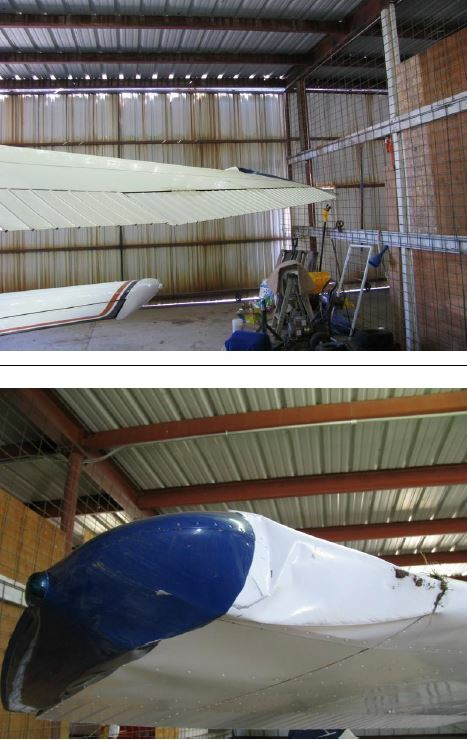 The airplane sustained substantial damage to the right wing lift strut, both wings, and empennage. 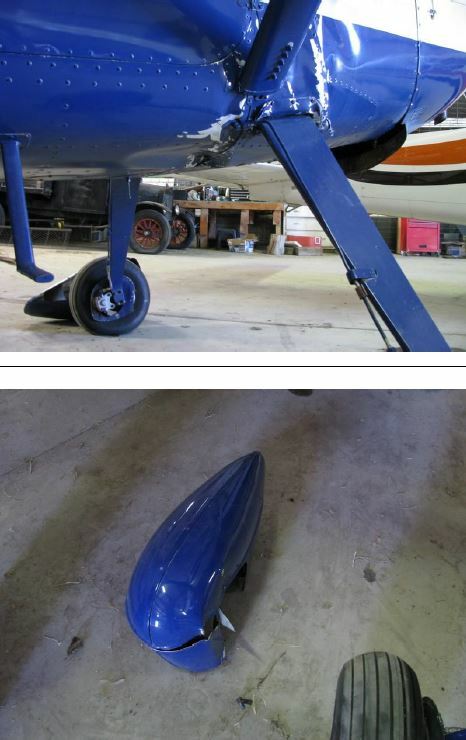 The flight instructor reported that skid marks on the runway indicated that the tailwheel was not rolling freely. 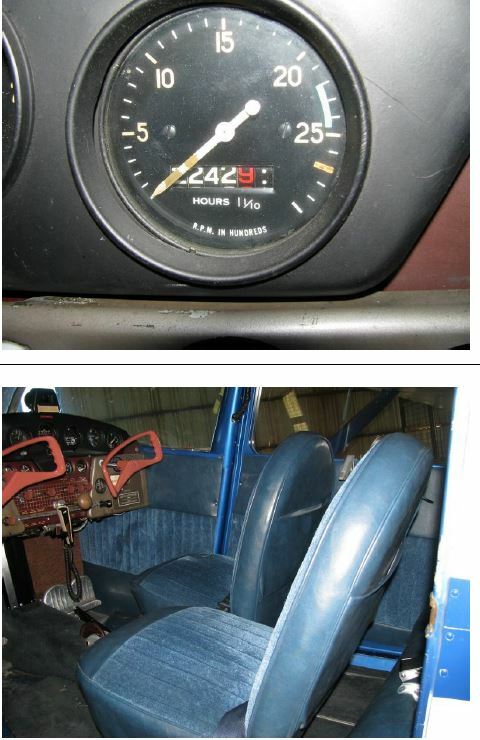 He added that, during a postaccident inspection, the left brake pedal went to the lower limit on an initial depression, but later held brake pressure during a second depression. He reported that he would not have been able to recover the airplane back to centerline because of the initial brake pressure response. Further, the flight instructor reported that, about 10 minutes before the accident, the wind was 310° at 13 knots, gusting to 19 knots. In a followup e-mail, the flight instructor reported that there were no brake or tailwheel anomalies noted during the run-up or departure. He also reported that the student pilot did not make any noticeable control inputs during the landing sequence. 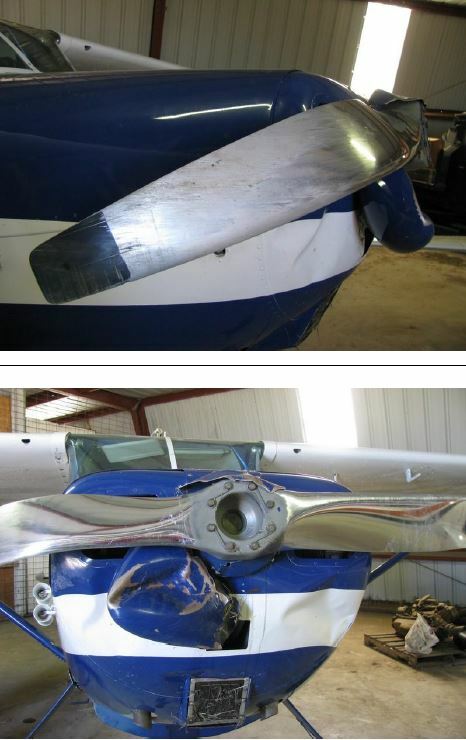 The Federal Aviation Administration inspector reported that, during a postaccident examination of the airplane 2 days after the accident, he “saw nothing abnormal with the brakes,” and he added that the tailwheel was turning. The airplane landed on runway 26. An online commercial weather service provider reported that a nearby station, about 2 minutes before the accident, reported wind 010° at 21 mph, gusting to 24 mph. The passenger in the rear seat provided a video showing the landing roll from the rear seat looking forward. Both the right and left control yokes can be seen, but the rudder pedals cannot be seen. During the beginning of the sequence, the instructor, in the right seat, had his right hand on the control yoke, and the student, in the left seat, had his left hand on the control yoke. Right aileron was applied. During the landing roll, the student added his right hand to the control yoke, and as the airplane veered to the right, left aileron was applied. The camera panned to the left as the right wing lifted and the left wing impacted the ground. The airplane veered left, then nosed over. The flight instructor’s incorrect compensation for the gusting crosswind during the landing roll, which resulted in a loss of directional control and runway excursion. The flight instructor in the tailwheel equipped airplane reported that during the landing roll, as soon as the tailwheel touched the runway, the airplane veered to the right. He added that he attempted to recover by applying full left rudder, left brake, and right aileron, but the left wing impacted the ground as the airplane exited the runway to the right. Subsequently, the airplane nosed over. 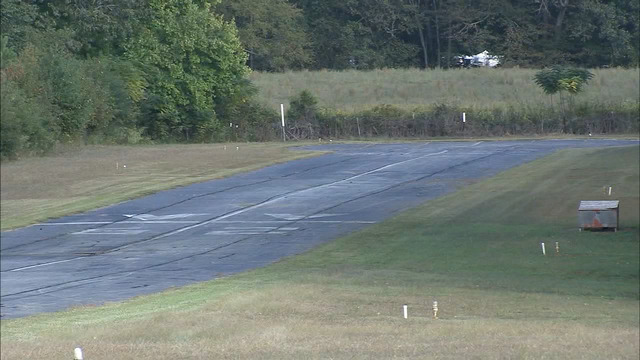 The flight instructor reported that skid marks on the runway indicated that the tailwheel was not rolling freely. He added that during a postaccident inspection, the left brake pedal went to the lower limit on an initial depression, but later held brake pressure during a second depression. He reported that he would not have been able to recover the airplane back to centerline because of the initial brake pressure response. Further, the flight instructor reported that about 10 minutes prior to the accident, the wind was 310° true at 13 knots, gusting to 19 knots. In a follow-up email correspondence, the flight instructor reported that there were no brake or tailwheel anomalies noted during the run-up or departure. He also reported that the student pilot did not make any noticeable control inputs during the landing sequence. The Federal Aviation Administration (FAA) Inspector reported that during a postaccident inspection of the airplane two days after the accident, he "saw nothing abnormal with the brakes". He further reported that the tailwheel was turning. The airplane landed on runway 26. An online commercial weather service provider, reported that a nearby station, about 2 minutes before the accident, reported wind 010° at 21 miles per hour (mph), gusting to 24 mph. The passenger in the rear seat provided a video showing the landing roll from the rear seat looking forward. Both the right and left control yokes can be seen, the rudder pedals cannot be seen. 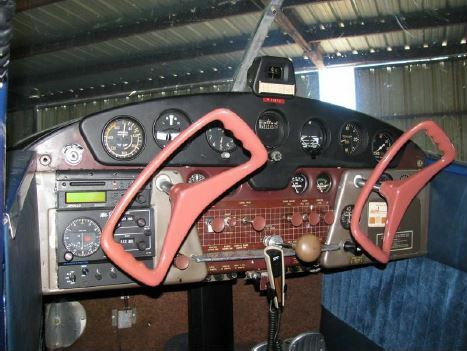 During the beginning of the sequence the instructor, in the right seat, had his right hand on the control yoke, and the student, in the left seat, had his left hand on the control yoke. Right aileron was applied. During the landing roll, the student added his right hand to the control yoke, and as the airplane veered to the right, left aileron was applied. The camera panned to the left as the right wing lifted and the left wing impacted the ground. The airplane veered left, then nosed over. DESCRIPTION OF ACCIDENT: Aircraft exited the runway upon landing causing the aircraft to flip on its back. 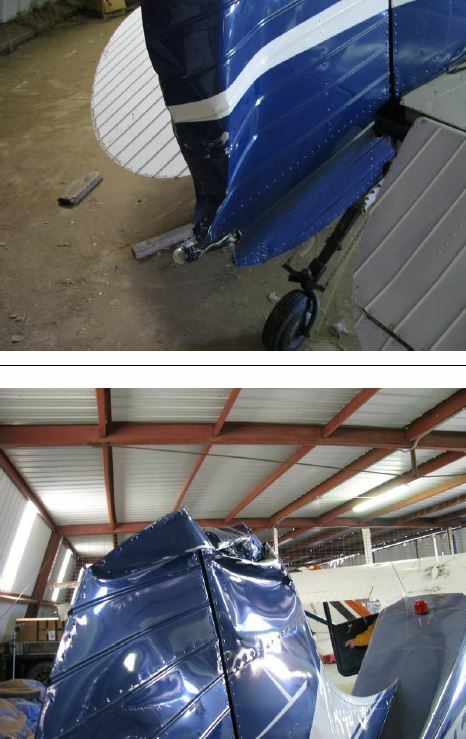 DESCRIPTION OF DAMAGES: Severe damages to wings, engine and fuselage. REMARKS: Inspection of aircraft is highly recommended. Before the positioning flight, the airline transport pilot monitored the weather and noticed the weather conditions were deteriorating near the time of the planned departure. The weather conditions included low visibility, freezing drizzle, and mist. In an effort to reduce the time in the deteriorating weather conditions, the pilot performed some before takeoff checks while the airplane was in the hangar. During the pilot’s “haste” to preflight and take off, she inadvertently selected the wrong switch for windshield heat. While on the instrument approach to the runway in night conditions, the pilot had no forward visibility due to ice accumulation on the windshield. The pilot executed a missed approach and contacted an instructor pilot at the departure airport to confirm the location of the windshield heat switch. The pilot then activated the windshield heat switch and enough ice had melted for the pilot to conduct another approach. During the approach, the pilot increased the airspeed due to “carrying a lot of ice.” On short final approach, the airplane descended below the glidepath due to the ice accumulation. Subsequently, the airplane contacted the terrain short of the runway and then “skipped” onto the runway. The airplane came to rest upright and off the runway surface. Examination of the airplane revealed substantial damage to the left wing. The pilot reported that there were no preaccident mechanical failures or malfunctions with the airframe or engine that would have precluded normal operation. The pilot’s decision to fly in in conditions conducive to structural icing and her subsequent failure to maintain airplane control during the instrument approach. Prior to the positioning flight, the pilot monitored the weather and noticed the weather conditions were deteriorating near the time of the planned departure. The weather conditions included low visibility, freezing drizzle, and mist. In an effort to reduce the time in the deteriorating weather conditions, the pilot performed some before takeoff checks while the airplane was in the hangar. During the pilot's "haste" to preflight and takeoff, she inadvertently selected the wrong switch for windshield heat. While on the instrument approach to the runway in night conditions, the pilot had no forward visibility due to ice accumulation on the windshield. The pilot executed a missed approach and contacted an instructor pilot at the departure airport to confirm the location of the windshield heat switch. The pilot then activated the windshield heat switch and enough ice had melted for the pilot to conduct another approach. During the approach, the pilot increased the airspeed due to "carrying a lot of ice." On short final approach, the airplane descended below the glide path due to the ice accumulation. Subsequently, the airplane contacted the terrain short of the runway, and "skipped" onto the runway. The airplane came to rest upright and off the runway surface. Examination of the airplane revealed substantial damage to the left wing. 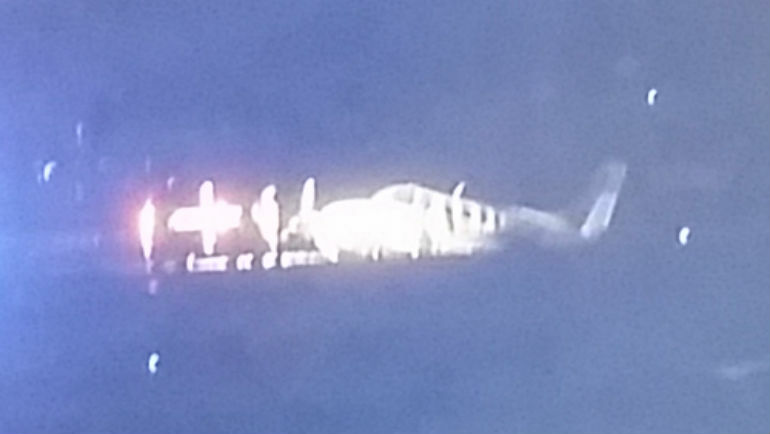 The pilot reported that there were no preaccident mechanical failures or malfunctions with the airframe or engine that would have precluded normal operation. 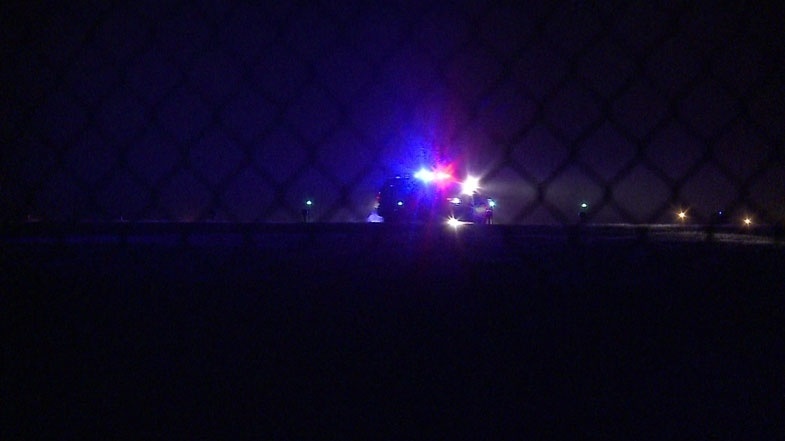 WAUKESHA COUNTY -- Authorities tell FOX6 News a plane slid off the runway at Waukesha County Airport/Crites Field Friday evening, February 24th. The Waukesha County Sheriff's Office says it happened around 6:48 p.m. 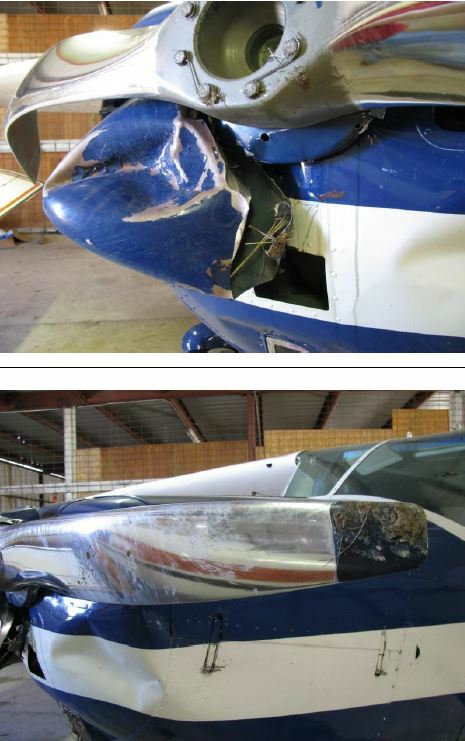 Upon arrival, the sheriff's office observed a Cessna 340A with substantial damage on the left side. According to Crites Field Airport Director, Kurt Stanich, the plane landed short of the runway, which caused the plane to then skid off the runway. The pilot and sole occupant, a 55-year-old woman from Sun Prairie, was able to walk away from the incident with no injuries. 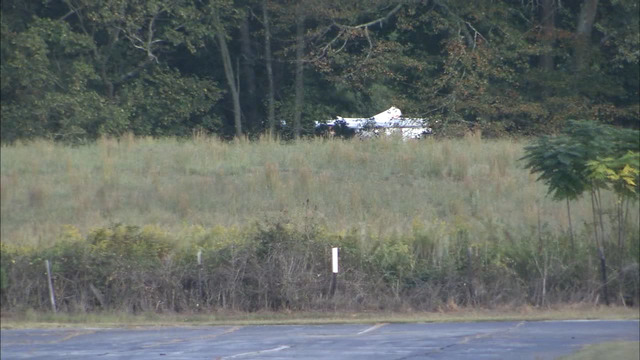 The incident remains under investigation by the FAA and the Waukesha County Sheriff's Office. 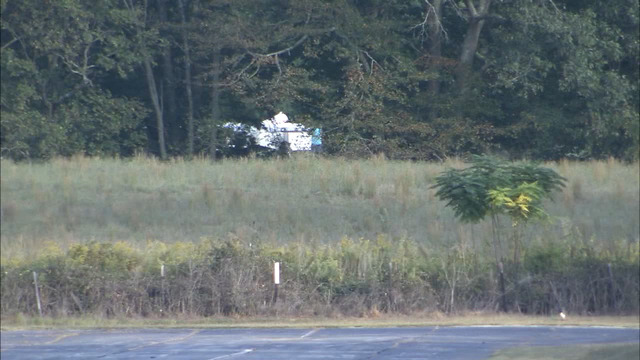 The airport will remain closed until the plane can be removed and the airfield checked for debris. 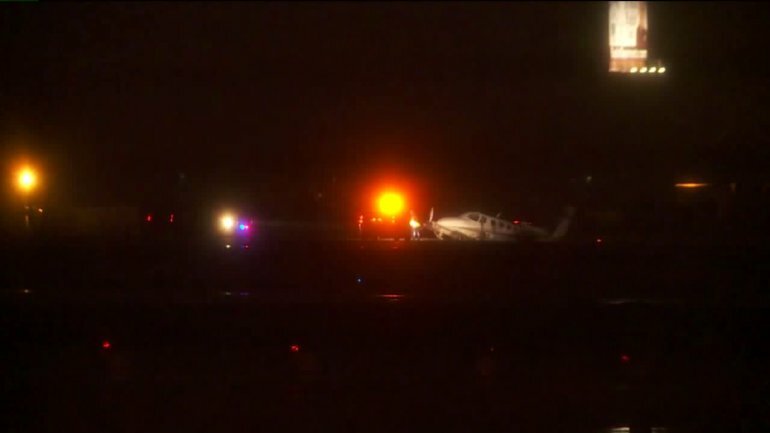 WAUKESHA, Wis. — A plane landed short of the runway Friday night at Waukesha County Airport/Crites Field. Waukesha County sheriff's deputies said when they arrived, they saw a Cessna 340A plane with damage on the left side. The pilot, a 55-year-old Sun Prairie woman, was not injured. 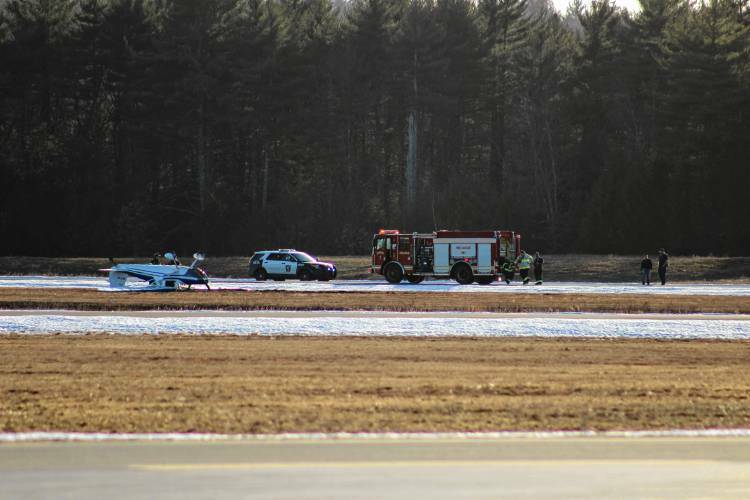 According to the airport director, the twin-engine aircraft landed short of Runway 10. At last check, crews were working to get the airport reopened after the aircraft is cleared from the runway. A 55–year-old woman from Sun Prairie walked away with no injuries after her plane slid off the runway at Crites Field/Waukesha County Airport at 6:48 p.m. on Friday, Feb. 24. A press release from the the Waukesha County Sheriff’s Office along with the City of Waukesha Fire Department responded. 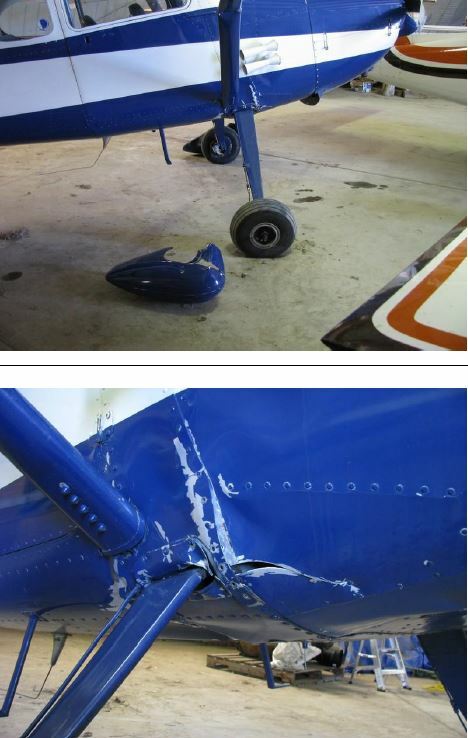 Upon arrival, Deputies observed a Cessna 340A with substantial damage on the left side. 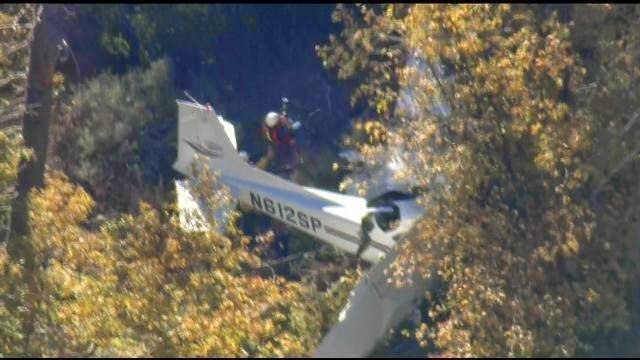 The pilot, who was the sole occupant in the plane, was able to walk away from the accident with no injuries. It is believed the accident occurred as a result of the icy weather conditions. The FAA has been notified. This incident remains under investigation by the FAA and the Waukesha County Sheriff’s Office.